Well, the study findings were widely reported in terms of relative risk. And when you hear numbers like “a 44% relative risk reduction of a cardiovascular event or death”, it’s easy to get excited. But when you take the numbers and put them in terms of actual risk reduction, the excitement quickly fades. When expressed properly, the data shows your true chance of gaining benefit from the drug is actually only about a half of a percentage point. Still, the FDA used this grossly flawed and extremely controversial study to approve Crestor for the primary prevention of heart disease, stroke and heart attack in people without cardiovascular disease. If you think that’s scary, wait until you find out what we’ve learned since then. Dozens of studies completed since the JUPITER trial show that statins provide no benefit to otherwise healthy people without heart disease. Nor do they extend life. And to top it off, they’re downright dangerous. 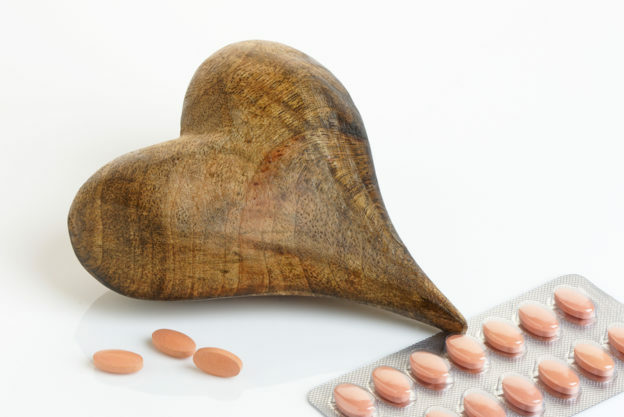 First of all, these drugs can actually increase your risk of developing heart disease. They increase the accumulation of calcium deposits on the walls of your arteries. That’s because statins deplete your vitamin K2 levels. This nutrient is vital when it comes to protecting your arteries from calcification. Second, they boost your chances of developing diabetes. This is a serious disease that comes with its own slew of cardiovascular complications. And I find it very peculiar that statin guidelines recommend that most diabetics be treated with these drugs. Talk about a disaster in the making! Third, cholesterol-lowering drugs rob your body of CoQ10. This is the enzyme that powers up your mitochondria and produces ATP… the energy that fuels your heart, muscles, liver and other organs. Chest pain, heart failure and high blood pressure are just a few symptoms of CoQ10 deficiency. Fourth, statins are well-known for causing a deadly form of muscle damage called rhabdomyolysis. This disease causes severe muscle pain. And it can directly injure the muscular tissue in your heart! Statins also increase your chances of memory loss, cataracts, peripheral neuropathy, certain types of cancer and, in men, erectile dysfunction. If you don’t have existing heart disease, don’t let yourself get roped into taking a statin drug. 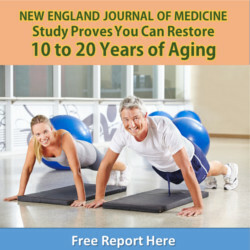 There are much safer ways to protect your heart and keep your cardiovascular system in top-notch condition. At the top of the list is making sure you’re living a heart healthy lifestyle. Get your exercise in. Eat a Mediterranean style diet. Sleep seven to eight hours each night. Take measures to manage your stress. You’re in control, so step up and take charge. Omega-3 fatty acids. Take between 2,000 and 4,000 of a formula that’s been molecularly distilled and tested for purity. Niacin. Start on a low dose of about 100 mg daily. Then slowly add 100 mg each week until you’re up to 1,000 mg each day. Take it in divided doses over the course of the day. CoQ10. I recommend that everyone take 100 mg of the reduced form of CoQ10 (called ubiquinol) each day. This is exceedingly important if you’re already taking a statin. I also suggest supplementing with a plant-based nitric oxide enhancer to boost healthy blood flow and support your arterial health. Look for one that has beetroot juice as its main ingredient. It’s by far the best nitric oxide booster available. Vaccarino V, et al. JUPITER: a Few Words of Caution. Circulation Cardiovascular quality and outcomes. 2009;2(3):286-288.
de Lorgeril M, et al. Beyond Confusion and Controversy, Can We Evaluate the Real Efficacy and Safety of Cholesterol-Lowering with Statins? Journal of Controversies in Biomedical Research. 2015; 1(1): 67-92. Ray KK, et al. Statins and all-cause mortality in high-risk primary prevention: a meta-analysis of 11 randomized controlled trials involving 65,229 participants. Arch Intern Med. 2010 Jun 28;170(12):1024-31. Okuyama H, et al. Statins stimulate atherosclerosis and heart failure: pharmacological mechanisms. Expert Rev Clin Pharmacol. 2015 Mar;8(2):189-99.